Italian spirits are almost as varied as the wines - grappa, the bitter liqueur called amaro, vermouth, and other temptations like limoncello and nocino. Our criteria are the same for spirits as they are for wine: we want typical, distinctive products, mostly from smaller producers. Spirits can have regional typicity too! Bitter, an infusion of herbs and spices in pure alcohol that is generally higher in alcohol (20-30% by volume) and a little less sweet. All three of these categories of aperitivo can be used with a splash of soda water, and are also used to make cocktails, such as the Negroni, which contains sweet Vermouth and Bitter (and gin). Amaro is a liqueur made by the infusion of botanical flavorings in alcohol, with a more or less pronounced bitterness (amaro meaning ‘bitter’ in Italian). The alcohol content varies between 11% and 40% by volume. Amaro is made by infusing the individual botanical flavorings in almost pure grain alcohol until the right extraction of flavor is achieved, then blending the different macerations with sugar and adjusting the proof with distilled water. The range of flavors in this category is very broad, from herbs like mint and sage, to citrus peel and licorice, to spices like cassia and true cinnamon, with the essential bitterness coming from any number of different botanicals (wormwood, gentian, bitter orange peel, artichoke, chinchona bark, rhubarb). The amaro producer Bordiga, in Piedmont, showed me their ‘library’ of house-made infusions in the basement of their distillery, at least fifty large jars containing macerations of different individual substances in alcohol. Some of these substances were originally thought to be medicinal, chinchona and wormwood for example, and one theory of the origin of Amaro is that it was a kind of folk remedy. (Perhaps it still is. I like to think so.) None of the producers I’ve talked to will give you a clear idea of the exact ingredients of their amaro, so as not to give away a trade secret, which means there is some happy detective work to be done to figure out exactly what that complex aroma is. The best amaros are often made of locally grown botanicals. Styles of amaro: at the sweeter end there are amaros that are in effect liqueurs with relatively restrained bitter notes, such as Nonino; at the masochistic end there are amaros that are distinctly bitter, even medicinal, such as Fernet Branca or Petrus Boonekamp. 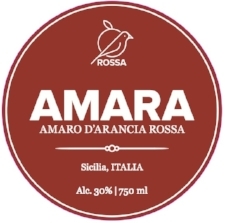 Some amaros feature one strong flavor (usually with support from other botanicals), examples here might include Cynar (mainly artichoke) or our own Amara (orange peel from Sicily); others are a complex weave of different botanicals with no one predominant (Bordiga’s ’St. Hubertus’). Tasting amaro: balance is key here, the balance between bitterness and sweetness and the balance between the different flavors. Drinking amaro: some are drunk after dinner, straight, as a ‘digestivo,’ and some work well as an aperitif, perhaps with a splash of soda (Campari, Bordiga’s ‘Bitter Rosso’). Amaros are now being widely used in craft cocktails, too, or mixed with Prosecco for a Spritz. Vermouth is an ‘aromatized wine’ made by the addition of alcohol to a wine base, with the infusion of botanical flavorings into either the wine or the spirit. The word ‘vermouth’ is said to have come from the German word for the bitter herb ‘wormwood,’ originally used for medical purposes, and this herb is still a required ingredient for Vermouth in the EU. The basic types of vermouth are ‘dry,’ ‘white’ (blanc/bianco), and ‘sweet’ (or Rosso); all three are usually based on white wine (‘red’ vermouth is normally colored with caramel color, but is not made of red wine, although our Bordiga Rosso does contain some red wine). Historically Piedmont is the center of Italian vermouth production. Vermouth styles: there are three basic types of vermouth, Sweet/Red, White, and Dry, all three based on white wine. Sweet vermouth is red in color, the color coming from caramel coloring; White (or Blanc or Bianco) is about the same level of sweetness as Sweet, but fairly pale in color; Dry/Sec/Secco is typically very pale in color and drier than the other two kinds. Drinking Vermouth: all three styles can be drunk as an aperitif, perhaps with a splash of soda. The most common use for the Sweet is in cocktails like the Negroni or the Americano, the most common use for the Dry is in the Martini cocktail, and the White is delicious as an aperitif. The distillation of pomace (the solids that remain after the production of wine) produces a brandy called grappa. It is produced in every region of Italy; the better grappas are usually made from a specific variety of grape or type of wine (for example, Grappa di Moscato or di Barolo). Although grappa was presumably born out of economy, to avoid wasting the wine (or sugar) that was still in the press-cake from wine production, it is now sometimes a sophisticated drink. The fact that it is usually not aged in wood allows the original flavors of the distillate to come through directly, particularly with aromatic varieties such as Moscato. Sugar is often added to balance the ‘bite’ that comes from distilling grape solids, particularly in more commercial examples, but it should should be barely noticeable in quality grappa. (Brandy made by the distillation of wine rather than pomace is made in Italy, but it’s very unusual; grappa is much more common.) Grappa can be aged in wood, although I prefer unaged ‘white grappa.’ There is a huge difference between the large commercial distillers and the smaller producers; the artisan producers use fresh pomace, so it doesn’t develop off-flavors, and use a batch distillation process instead of the commercial continuous process. Limoncello is a very simple spirit made by the infusion of lemon-peels in neutral alcohol. The quality comes entirely from the quality of the citrus; ours is made from lemon peel removed by hand from spectacularly aromatic Amalfi Coast lemons, then macerated in alcohol for a few weeks and mixed with cane sugar. The real stuff will have some lemon oil floating on top, just give the bottle a good shake before pouring. Drink cold but not iced for best effect. In the 5th century AD, the Greek physician Hippocrates prescribed to patients who had lost their appetite a medicine of his own invention called ‘Vinum Hippocraticum,’ a sweet white wine macerated with flowers of the herbs dittany, absinthe and rue. The Romans called this ‘Vinum Absinthiatum’, and to improve the distinctly bitter taste they added rosemary and sage. Since the Middle Ages herbal medicine has maintained that bitterness stimulates appetite. The geographic discoveries abroad and the beginning of trade with the Orient made known to medieval Europe new and very precious spices that were perfect for infusing with, and improving, ‘aperitif wine’, such as nutmeg, clove, cinnamon, Chinese rhubarb root, cinchona from South America, myrrh, black pepper, et cetera. The aperitivo we know today, intended as a dietary habit and not a medical cure, was created in Turin in 1796 in a small wine and spirits shop. The proprietor had the happy idea of selling, in an elegant liter bottle, a wine infused with cinchona, and he baptised it vermouth (from the German word ‘wermut’, or absinthe). This was the creation of what we know now as vermouth. Many years later, a case of this vermouth was given to King Victor Emmanuel II, and Vermouth became the official aperitivo of the Italian Court, the ‘Vermouth of Aristocracy and Royalty.’ The success of vermouth was enormous; among those who appreciated it were the statesman Cavour, the composer Verdi and the playwright Giacosa. In general the population of Turin, then the capital of Italy, loved Vermouth, and the production of it increased considerably in the mid-nineteenth century. In Milan in 1815, however, an aperitivo with an alcohol base (as opposed to wine) was created, this being an infusion of 33 herbs and roots from all over the world: cinchona from South America, rhubarb from China, bitter oranges from Curacao, sweet oranges from Sicily, and gentian from the Alps. All natural and healthy ingredients. In 1862 Gaspare Campari, the proprietor of a well-known café, introduced this new bitter amaro, and - to distinguish it from Vermouth - called it Bitter, another word of German origin. 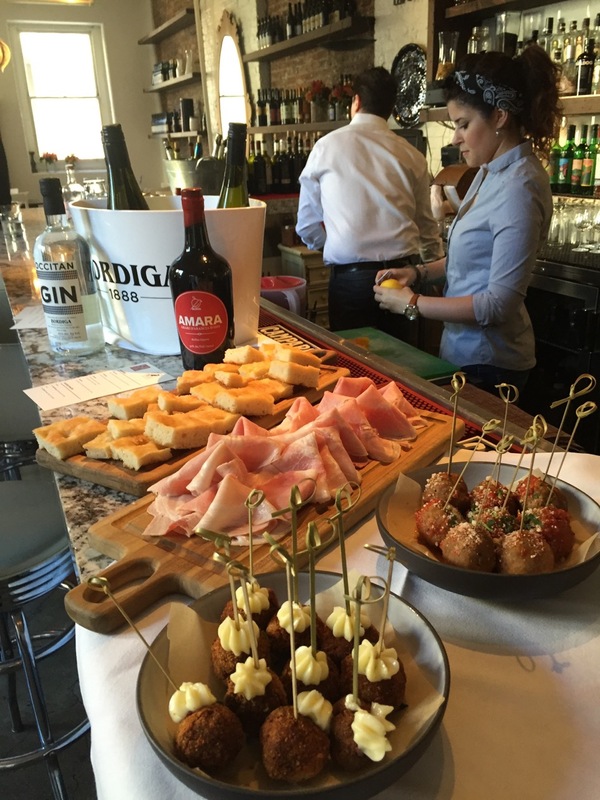 Thus was born, in Turin and Milan, in Piedmont and Lombardy, the ritual of the aperitivo. Campari is still the best-known commercial example of Bitter. Another style of bitter aperitif that developed in this same period of time has come to be called simply Aperitivo; typically these are a little sweeter and less bitter (and less alcoholic) than the Bitter style. The best-known commercial example is Aperol. Obviously in those days the aperitivo was not the same as it is today, but for the most part tied to the social habit of visiting traditional cafés, which were meeting places for before or after the Theater, places for conversation over snacks and slightly alcoholic drinks. It was in 1888, in this atmosphere of cultural ferment, that Pietro Bordiga, an expert in herbs and their benefits from the town of Cuneo (south of Turin), founded the Bordiga distillery. Around 1900, in Milan, the aperitif was transformed into the modern social phenomenon, where not only glasses of wine but also cocktails (an American creation) could be enjoyed with Italian snacks and antipasti.